When Helen Francis was a child, her mother died and her father walked out, leaving her to be raised by her older sister. Now thirty-five, married, and trying to start a family of her own, Helen has moved on but never really healed from her traumatic childhood. She has always believed that a new baby would help fill the loss of what was taken from her at such a young age. After four years of trying to become pregnant, however, she is resigned to the fact that she will never be able to bear children. Halfheartedly accepting adoption as an alternative, Helen gradually embraces and grows excited over the prospect. And when her new baby is finally in her arms, true happiness washes over her. But her unimaginable bliss is dashed when she learns that Claire, the sister who raised and loved her throughout her childhood and adult life, has been diagnosed with cancer. For Helen, the pain of her childhood returns and the old wounds of abandonment are once again torn open. Balancing the joy of her new daughter with the painful experience of watching her sister, the physical embodiment of unconditional love in her life, slowly die, Helen must reconcile her inner feelings and heal her broken spirit. A heart-wrenching exploration of the ties that bind us and the lasting pain of childhood loss, Daughters for a Time is about longing for a family to heal a broken heart, experiencing unconditional love as a parent, and finding solid ground to stand on when suffering and elation have equally powerful holds on our life. Some words about the Author. 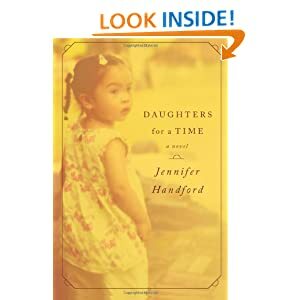 Jennifer Handford was born in Phoenix, Arizona, where she lived until she moved to Oregon for college and graduate school. After graduation, she moved to Washington, D.C., and has lived in the Virginia/Washington, D.C., area for fifteen years. Jennifer is married and has three daughters. Daughters for a Time was awarded one of three first place prizes in the Amazon Breakthrough Novel Award contest. It is her first novel. Also you can download a game for your Kindle Fire which called Gunman Clive. It is free today only. The west is overrun by thugs and outlaws. A group of bandits have kidnapped Mayor Johnson’s daughter and are spreading havoc across the land. Only Gunman Clive can bring order to the west and save the girl. 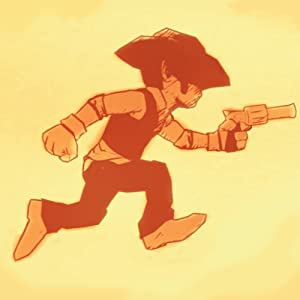 Gunman Clive is an old-school, side-scrolling platform game set in the old West with full 3D graphics and a unique art style. Navigate Gunman Clive through the dangerous Wild West using three controls. Directional arrows are located at the bottom left-hand side of your screen. Jump and Shoot buttons are located on the lower right-hand side. Move Clive through a number of obstacles while dodging bullets and taking down the outlaws. Jump and shoot your way across 16 diverse and challenging levels against a variety of outlaws–from your run-of-the-mill gunman to their powerful bosses. The unique sepia sketch-shaded graphics pull gamers into the rough and rowdy ways of the original Wild West. Be careful out there. This entry was posted in Kindle Applications, Kindle Apps, Kindle Books, Kindle Daily Deal and tagged Daughters for a Time, Gunman Clive, Jennifer Handford by Paul. Bookmark the permalink.